VW plans to introduce 27 new affordable battery-electric vehicles by 2022. 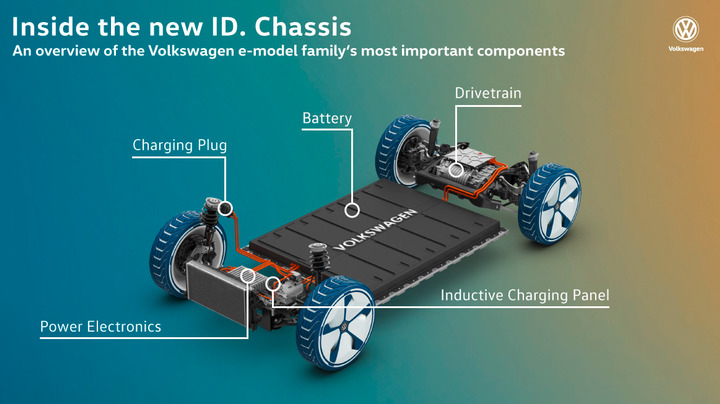 Volkswagen provided additional details about its aggressive electric-vehicle initiative at an event in Dresden, Germany on Monday, where the automaker said it will produce 27 battery-electric vehicles on a new platform by 2022. The company plans to develop the vehicles on its affordable MEB electric architecture as part of an initiative being dubbed "Electric for All." Executives likened its shift toward electrification to Volkswagen's earlier shift from the rear-wheel Beetle to its front-wheel Golf some 40 years ago. "The MEB is one of the most important projects in the history of Volkswagen, a technological milestone similar to the transition from the Beetle to the Golf," said Thomas Ulbrich, brand board member for e-mobility. Volkswagen has already announced several of the vehicles, including the ID hatchback by the end of 2019, the ID Crozz small crossover in 2020, and the ID Buzz electric Microbus in 2022. The other 22 models have not been identified. Company executives at the event said they expect to sell 100,000 ID hatchbacks and 50,000 more electric vehicles from other brands such as Audi and Porsche by 2020. "We are making optimal use of the possibilities the electric car has to offer and creating massive economies of scale at the same time," Ulbrich said. "Some 10 million vehicles across the group will be based on this platform in the first wave alone." In the U.S., Volkswagen is building out an electric charging network through its Electrify America subsidy to support its vehicles that will include 500 fast chargers in 40 states and 17 metro areas by July of 2019.